--How successful have your efforts for improving public safety been? When I took up the post of Governor in 2004, in almost all the municipalities in Saitama, there were more than 50 house break-in thefts per 10,000 households. By 2012, however, they were reduced by more than 70%. The number of volunteer neighborhood watch groups---515 at that time---greatly increased to about 5,800, which has significantly contributed to this miraculous improvement. We were interviewed about this matter last year when FPCJ conducted a Press Tour "Public Safety in Saitama - Japan's #1 volunteer watch groups protecting the neighborhood." The greater the number of crimes, the busier the police officers become with paperwork, and this consequently gives them less time to patrol. That means we cannot reduce crime; it's a vicious circle. If we have fewer crimes, we can have more police officers on patrol and strengthen crime deterrence. The most conspicuous change is the crime-arrest ratio. In 2004, the crime-arrest ratio for felonies such as homicide and theft was about 41%. Even though Saitama has the lowest ratio of policemen per prefectural citizens, this percentage has increased to 77%, which is the 15th highest percentage in Japan. Volunteer citizens prevent light crimes, so the police can focus on serious crimes. 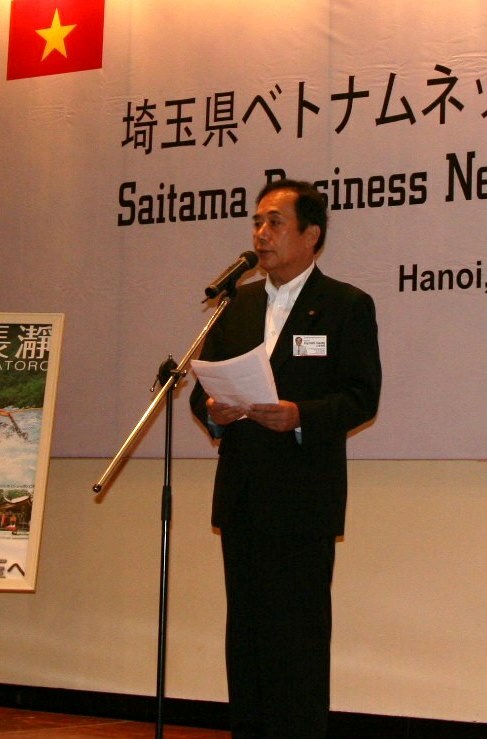 Saitama Prefecture is providing big cities in other prefectures with successful examples. --You are limiting the number of government workers and aiming for a small yet strong prefectural government. As welfare costs increase every year, we have to reduce administrative costs by consigning projects that can be handled by the private sector. For example, the work that required 210 officials from the general affairs sections of many divisions is now done by about 20 officials who work in a cross-governmental general affairs work center. That means we can use about 190 officials effectively for other work. When I became Governor, the number of officials was about 9,000, but because of reasons such as workers from the baby-boomer generation retiring, this number has decreased to less than 7,000. Now, for every 10,000 Saitama citizens, 11 government workers strive to serve them just as effectively as previous years. This government worker to citizen ratio is lower than the national average and speaks to our government’s growing efficiency. I not only compared figures with those of the previous year, but I also surveyed tendencies over the past ten years and compared these figures with the national average. Thus, I was able to quantify our government’s work achievements and improve our administration. Some people say that unnecessary competition is not good, but I believe that "real reform" can only be achieved by knowing the facts. --How does the prefectural government support small businesses expanding overseas? We assist them in such ways as offering know-how regarding setting up businesses abroad, especially in ASEAN (Association of Southeast Asian Nations) countries where the population is growing rapidly and business requests for government support are high. We opened a support center in Shanghai, China, where specialists give advice and sometimes help conclude contracts. In addition, we signed agreements with the governments of Thailand and Vietnam. In both countries, we held networking events with more than a hundred attendees where Saitama’s companies could share information. We want to enhance this network by forming an association of people from Saitama that will hold seminars and meetings several times a year. Also, a big opportunity lies ahead: even though this project is still in the planning stage, a company in Saitama may receive a request from the government of Vietnam to construct part of the expressway between Hanoi and Ho Chi Minh City. The Vietnamese government visited disaster areas of the Great East Japan Earthquake and inquired about construction companies which built bridges that withstood the earthquake. 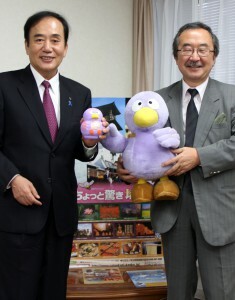 As a result of this visit, a Saitama-based company was selected for this task. 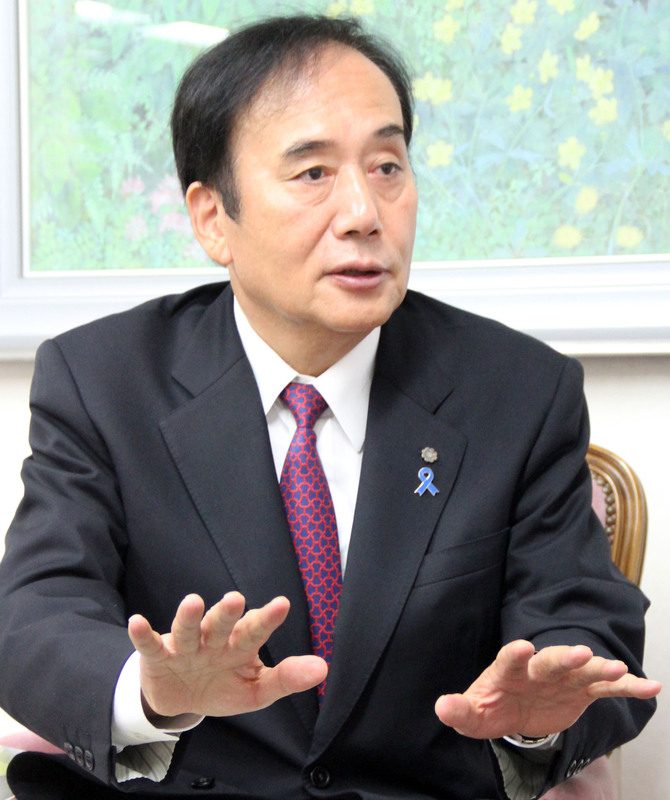 The prefectural government is also helping to arrange construction preparations. --How does Saitama foster human resources who can actively work in an international society? We have pledged a billion yen in total over six years to help students study abroad by setting up the Saitama Prefecture Fund for Developing Global Talent. Recently, fewer people are going abroad to study, and there has been a tendency for scholarships and other support programs to be cut or reduced due to financial constraints. Well, if that’s the case, why don’t we devote ten times the usual effort to this important issue? -- This is our attitude. 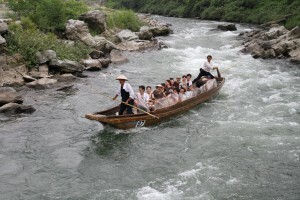 In the three years since 2011, about 800 students from Saitama have gone abroad. After they come back, we hold networking events and provide employment support, including introducing internships at international and leading companies in Saitama. We offer opportunities for students to get to know Saitama’s companies and hope that they will gain success there. For the companies, these programs also give chances to hire excellent students who have a connection with Saitama and have an affinity for these companies and Saitama. --How does Saitama deal with natural disasters? A tornado hit the eastern part of the prefecture the other day, and 14 houses were completely destroyed. It was fortunate that no lives were lost in such a disaster, though. Saitama has been strong in the face of disasters even during the Great East Japan Earthquake, but we did not envision tornados. I have heard that Saitama Prefecture will become more susceptible to tornados over the next decade. Indeed, this is already happening. In addition to the support based on the Act on Support for Reconstructing Livelihoods of Disaster Victims, we would like to offer afflicted citizens the opportunity to live in prefecture-provided housing on a priority basis and back them up in other ways such as exemption from rent. If the likelihood of tornados increases, we then have to study how we can minimize the damage. --Saitama is also supporting those affected by the Great East Japan Earthquake. By a chain of coincidences, Kazo City took in a great number of former residents of Futaba Town in Fukushima Prefecture, many of whom still reside in the former Kisai High School building. As Saitama is geographically the gateway to Tohoku and many citizens have relatives there, we are hosting more than 3,000 victims even now. This reflects the warmth and supportive spirit of Saitama’s citizens. --What are the appealing features of Saitama? Closeness to Tokyo is one of its biggest advantages; from Tokyo, it’s only half an hour to Omiya and Urawa, which are the main train stations in Saitama. You can become familiar with the old-time streetscape of the Edo Period in Kawagoe, whose nickname is Ko-edo or Little Edo. In Nagatoro, you can experience river boating with a view of the beautiful, pure stream and peaceful landscape. There are also Hitsujiyama Park in Chichibu City where you can see a sea of moss pink like a carpet of flowers on the rolling hills and Kinchakuda in Hidaka City, which is famous for its blanket of red cluster amaryllis. Saitama has a great deal of potential in making the best use of “spare” hours for visitors who come to Tokyo (Saitama Prefecture’s official tourism website). Furthermore, Saitama is a major producer of wheat, so Soba and Udon (Japanese noodles) are popular. Production of vegetables is 6th in Japan, and there are also plenty of brand-name meats including Sai-no-Kuni Pork. Saitama is full of must-see sights and must-eat foods. --Tokyo has won the right to host the 2020 Olympic and Paralympic Games. That’s really good news. 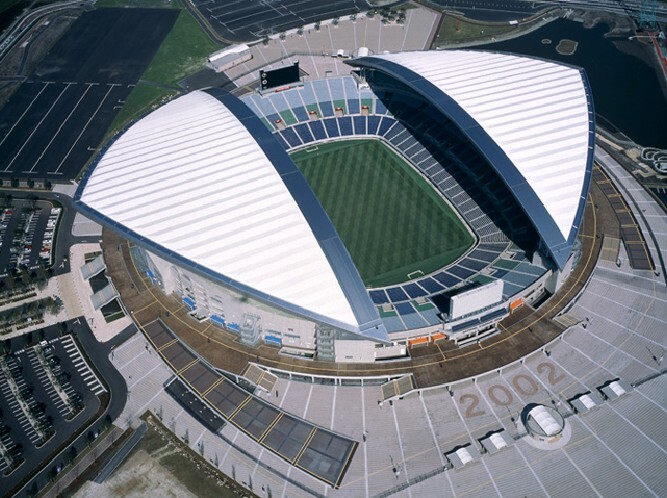 In Saitama, popular sports – soccer, golf, and shooting – will take place at the Saitama Stadium 2002 and other facilities. A vibrant mood and a strong impact can be expected. Besides, with the year 2020 as a new, clear goal, recovery from the disaster can be and must be accelerated by solving various problems and drawing a road map to complete recovery in a more precise way.